It was learnt that a meeting scheduled for last week Tuesday to resolve the controversy trailing the September 3 governorship primaries in Ondo State won by the former President, Nigerian Bar Association (NBA), Mr. Rotimi Akeredolu, did not hold. A source from the party said he was not aware of any meeting scheduled for last Tuesday, but confirmed the one scheduled for today at the instance of the National Chairman of the party, Chief John Odigie-Oyegun. 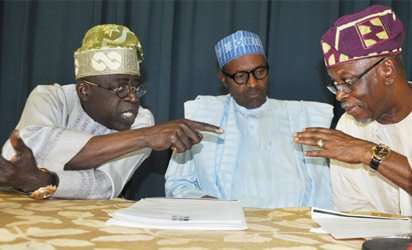 The Guardian learnt that the National Leader of the APC, Bola Tinubu, who is considered central to the issues, tactically evaded the last Tuesday meeting on the excuse of going abroad for a medical treatment. The situation resulted in the defection of Mr. Olusola Oke, one of the APC governorship aspirants, to the Alliance for Democracy (AD) to pursue his ambition. As the crisis deepens, there is a rumour that the Abuja caucus is supporting Akeredolu while Tinubu, the Lagos chapter and some stakeholders in the South West zone are backing Oke, a development some people have described as anti-party activity perpetrated by the national leader.